Tommy Flanagan was born on the 3rd July 1965, in Easterhouse, Glasgow Scotland, and is an actor, probably best known for starring in the role of Filip “Chibs” Telford in the TV series “Sons of Anarchy” (2008-2014). He has also appeared in such TV and film titles as “Gladiator” (2000), “AVP: Alien Vs. Predator” (2004), “The Last Drop” (2006), etc. His career has been active since 1992. So, have you ever wondered how rich Tommy Flanagan is? It has been estimated by authoritative sources that the total sum of Tommy’s net worth is over $3 million, as of mid- 2016. He has been accumulating this amount of money through his successful involvement in the entertainment industry as an actor, appearing in more than 50 film and TV titles. Another source is coming from his work as the spokesperson for a drink. Tommy Flanagan spent his childhood in his hometown, the third of five children. Speaking about his education, there is no information in the media, but it is known that he began making money in his early twenties as a DJ, performing in local night clubs. He lived like that until a violent knife attack, which nearly ended his life and left scars on his face. Following recovery, Tommy decided to try himself in the world of acting, and soon he became a member of Robert Carlyle’s Raindog Theatre Company, performing in a number of productions such as “Wasted I and II”, “MacBeth”, and “One Flew Over The Cuckoo’s Nest”. There he spent three years, and later decided to pursue a professional on-screen career. Thus, Tommy’s professional acting career began in 1992, when he made his debut on-screen appearance in the TV series “Screen One”, after which he featured in the role of Tam McLeod in the TV series “Taggart” (1993). Two years later, he earned a bigger role, playing Morrison in the film “Braveheart”, starring and directed by Mel Gibson. Since that year, his career has only gone upwards, and so has his net worth. Before the next decade, he appeared in such titles as “The Saint” (1997), “The Game” in the same year, and “Ratcatcher” in 1999. However, his breakthrough came in 2000, when he was chosen for the role of Cicero in the Ridley Scott film “Gladiator”, starring along side Russell Crowe, Joaquin Phoenix, Connie Nielsen in lead roles. After this rol,e Tommy’s net worth increased substantially, and also his name became more known in Hollywood. Since then, the roles came one after another, so in 2001 he appeared in the TV mini-series “Attila” as Bleda, then in the film “Strictly Sinatra”, playing Michaelangelo, and in “Dead Dogs Lie”, as Michael. His net worth was constantly rising with his career, as he landed roles in the following years in “All About the Benjamins” (2002), “Trauma” (2004), “Sin City” (2005), among others. The next big role came in 2008, when he was chosen for the role of Filip ‘Chibs’ Telford in the crime drama TV series “Sons of Anarchy”, created by Kurt Sutter, which was on air until 2014. To speak further of Tommy’s accomplishments in the acting world, in 2015 he appeared in the TV series “Revenge” and “Gotham”, and most recently he was cast as Jack Stoker in “Motive” (2016). His net worth will certainly become larger in the next few months and years, as he is currently a part of the cast of films “The Jesuit” (2016), “Sand Castle” (2016), “Running Wild” (2017) and several more. 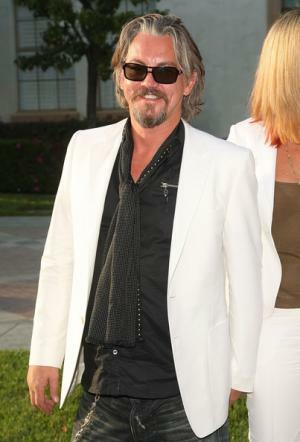 Regarding his personal life, Tommy Flanagan has been married to Dina Livingston since 2010. Previously, he was married twice – to Rachel Flanagan (1998-2001), and Jane Ford (2007-2010). 2 Two facial scars, one on each side of his face, known as a 'Glasgow Grin' or a 'Glaswegian Smile'. Result of being attacked by thugs in Scotland. 1 Acting never crossed my mind for a moment when I was growing up. 2 I do miss Glasgow but Malibu is home now. I love it here and when I do go back to Scotland it takes me a bit of time to acclimatise. I am a spoilt so-and-so. I live in the mountains of Malibu in the most gorgeous house and I phone my mum every day and tell her that I have got bad news - that it is only 70 degrees here. 1 Born on the same day as Gladiator (2000) co-star Connie Nielsen. 2 He appeared in two Best Picture Academy Award winners: Braveheart (1995) and Gladiator (2000). 3 Portrays two different characters, in two very different genres, who has his wife forcibly taken by another man, and who seeks his revenge, murdering his adulterous enemy, and then spitting on the corpse: Braveheart (1995) and Sons of Anarchy (2008). 4 He got his famous scar when, walking home after a DJ gig, he was attacked by a group and cut with a knife. 5 His brother Andrew is also an actor who is based in Glasgow. 6 He says he likes the rain and misery of Scotland over the sun of California. 7 His Father died in January 2002.